For those who can enjoy a high quality wine. 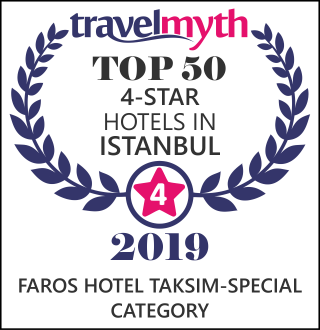 Boasting a retro design with antique furnitures, Faros Hotel Taksim offers a central location, only 300 m from the famous Taksim Square and Taksim Metro Station. The hotel offers stylish rooms with air conditioning and free WiFi. Demiroren Mall is a 8-minute walk from the property. The rooms feature elegant interiors with all-white walls and parquet floors. They are all equipped with carefully selected contemporary furniture. All rooms include a seating area, TV and a work desk. Guests can also benefit from the electric kettle in their rooms to enjoy a cup of tea or coffee. Toilet and a rain shower are also included in the rooms. Guests of Faros Hotel Taksim can have breakfast in the chic lobby area or request it to their rooms. 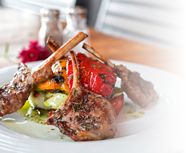 For lunch and dinner, there are many restaurants nearby with international and traditional Turkish cuisine. The lively Istiklal Street is 400 m away with many restaurants, bars, shops and art galleries. Cevahir Mall is 2.1 mi km while Zorlu Center is 4.3 mi from the property. Acıbadem Taksim Hospital is a 3-minute walk from the property and Sisli Florence Nightingale Hospital is 4.7 mi away. Kolan International Hospital is 3.7 mi away. Private parking at a surcharge is also offered on site. Ataturk Airport is 12 mi from the hotel. Istanbul Airport is 31 mi away.